First constructed as turn-of-the-century apartments, The Ponce now rises as one of the most impressive and long-standing buildings in Atlanta. This thoughtfully restored structure now houses around 60 private residences, with a premiere, midtown address. Close to museums, theaters, shops and dining, The Ponce is also convenient to nearby public transportation. The luxury high-rise offers your choice of one- to four-bedroom designs, with such desirable features as crown molding, stainless steel appliances, hardwood floors and high ceilings. The property also includes balconies and updates throughout, from fireplaces to French doors and upscale granite finishes. 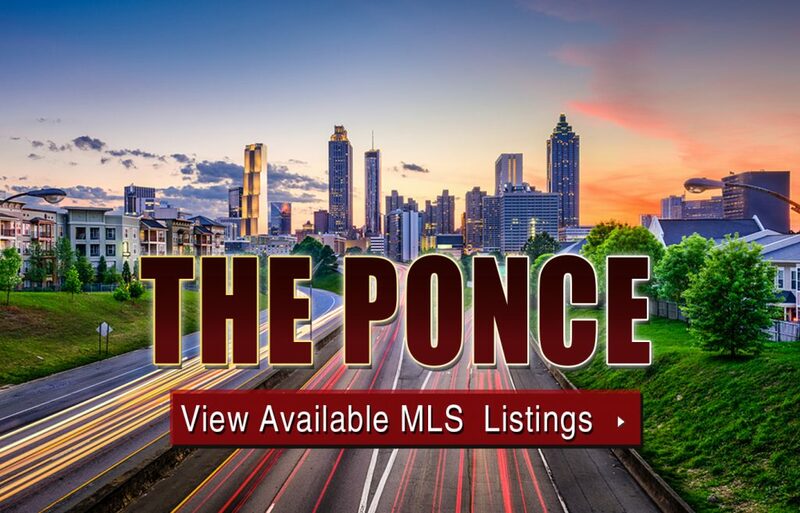 If you’d like more information about The Ponce condos for sale, give us a call now or take a closer look at what’s currently on the MLS by clicking the link below. Listed below are recently closed sales at The Ponce Atlanta. Whether you’re thinking about buying or selling a condo at The Ponce, checking to see what other comparable properties have sold for in recent weeks and months provides helpful insight into current market conditions within the community. For more information about The Ponce condos for sale for sale or for a complete list of recent condos sold in the neighborhood, contact The Zac Team today! Can’t find what you’re looking for in Atlanta’s The Ponce condo building? Start browsing other Atlanta real estate for sale or give the Zac Team a call at (404) 564-7200 for help with your new home or condo search today!